More of us now live in apartments and city flats than ever before. This more affordable housing option is growing ever popular however, with the lack of outdoor space, there are downsides especially in the warmer months. When the sun shines, we want to be outside enjoying the best of what nature has to offer so if your flat has minimal outdoor space or even has none at all, making the connection between nature and the home becomes harder to achieve. 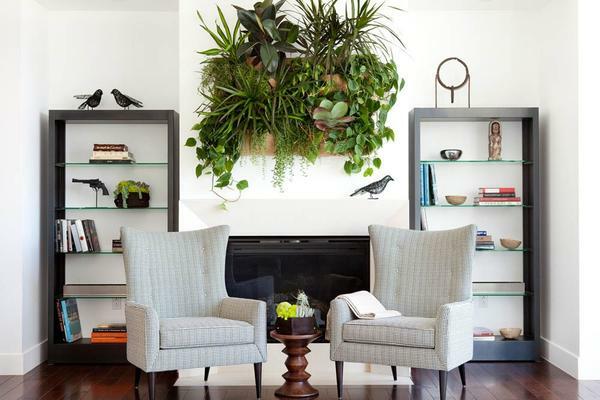 There are however, several ways to make your apartment feel more connected to nature and the great outdoors by adding plants and greenery to your interior that will soften those harder edged structures and give a more tranquil ambience to the interior space. Here’s our tips to bringing just a little bit of the countryside into your home and the advantages they offer. Vertical gardens, also known as living walls are all the rage nowadays as they have transformed the way in which we can grow plants and herbs indoors. Perfect for anyone with little or no experience of plant care, these ingenious inventions make it easy to grow any type of plant or herb using a simple kit that you hang on a frame and water when the system tells you to. Some more expensive systems even water themselves using hydroponics. It’s that easy! These fantastic inventions create a beautiful display of greenery that adds a unique, artistic feel whilst fragrancing and purifying the air - something most inner city apartments will need with increasing pollution levels. They take up minimal space yet make a massive impact and will be the talk amongst your friends. If a vertical garden seems like too much commitment then try placing some plant pots on wall shelves to create a similar effect but with far less foliage. The finished look can be just as impactful as a vertical living wall but with less expense or regular plant care. Air quality in apartments can be quite stale and in larger inner cities, can be located in areas where pollution levels are dangerously high. 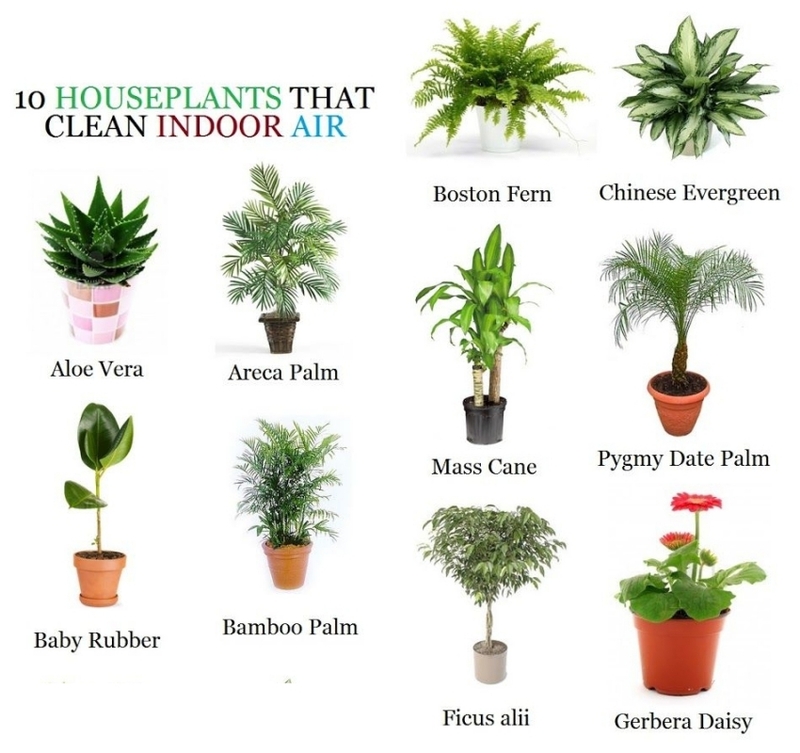 Plants offer a cheap and easy way to improve the air quality inside your home without you even realising it. 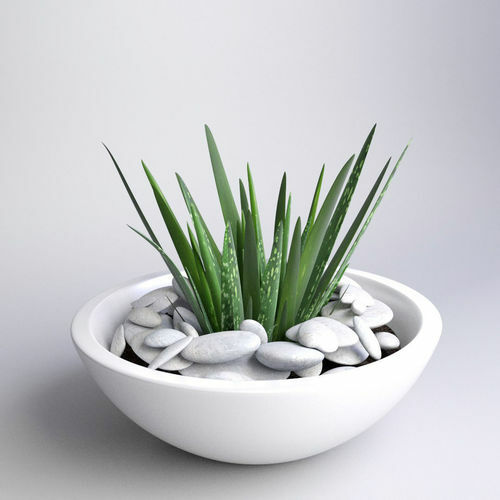 Plants like aloe vera have incredible healing properties and are great air purifiers that take up little space, so are perfect for the mantle or windowsill. English ivy has great air cleaning properties too, and looks amazing potted in a corner with a climbing frame to soften and add lushness to dead corners of a room. Doorways can seem rather stark and lifeless in many apartments, especially those without a view of the outdoors. By adding tall plants either side of the doors in matching pots, you can soften the overall look and add some grandeur as you enter the space. Windows will also benefit from the same treatment especially where there are no soft fabrics present and the window coverings are traditional venetian or vertical blinds. 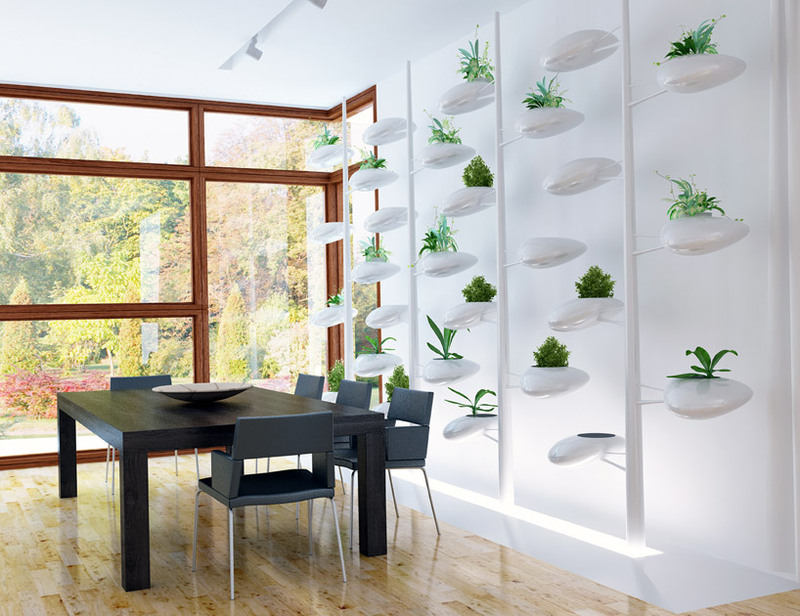 Plants will create a more peaceful, tranquil appeal to the window and remove the hard edges that shades often create. 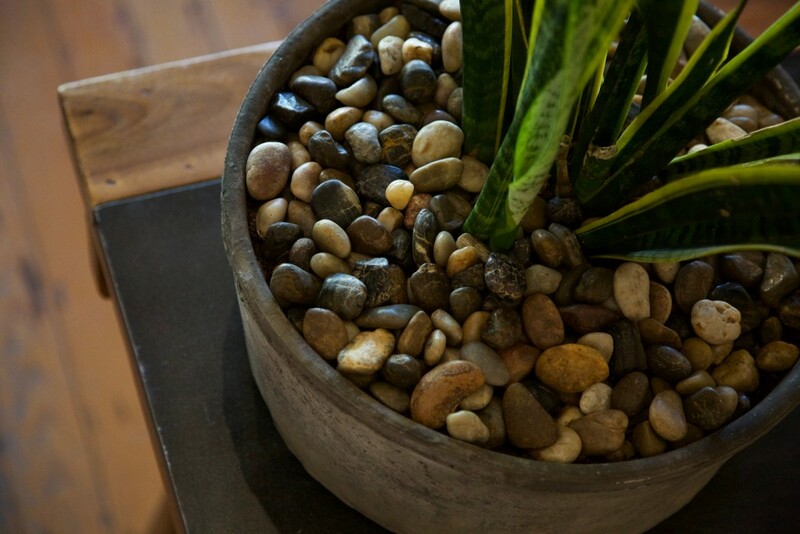 To compliment your plants, try to introduce more organic materials into the space. Exposed woods, even bricks, stones or pebbles will compliment the plants in so many ways that it will make the interior space feel less industrial and more natural. You could even add a small water feature which will introduce the subtle sounds of trickling waterfalls which will make anyone enjoying the room feel more relaxed and soothed. If your apartment has an outdoor space then make the most of it! 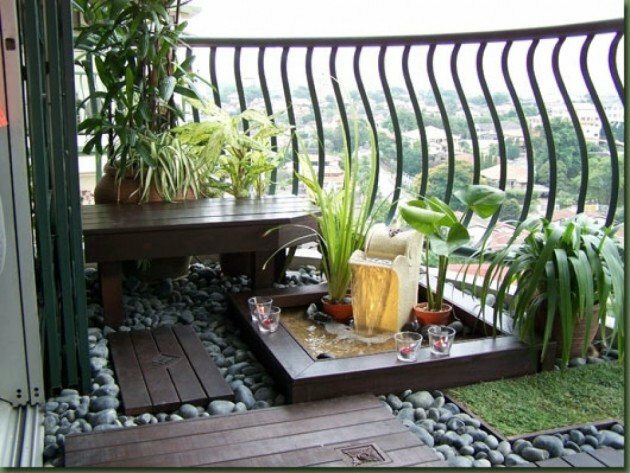 Whether it’s a small balcony or roof terrace, add some greenery by lining the floor with weather proof astroturf to make the space feel like a garden. Compliment it with some brightly coloured chairs to add a pop of colour, perhaps a table for eating and entertaining and some low maintenance pot plants to create your perfect outdoor oasis. You’ll be the envy of all your neighbours. Don’t be afraid to experiment with different plants, colours and species. A surprisingly large number of plants can grow and flourish indoors, so you’ll never know until you try. Ferns and palms add a more tropical feel whilst climbing plants give the room a more lush, organic appeal. With a little education, you’ll soon realise that most house plants only require minimal care and with a little watering and plant food when needed, should last for years and give your home the softer, more greener feel you were hoping for.